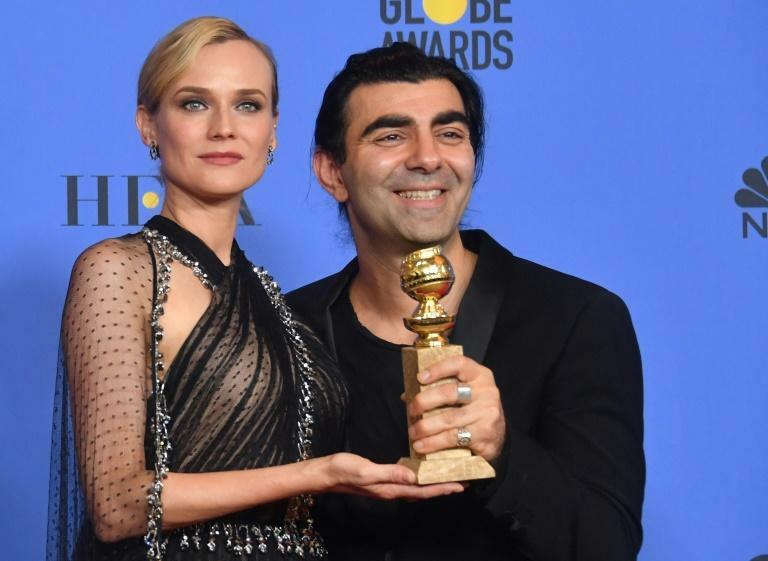 "In the Fade," the German thriller about neo-Nazi violence, on Sunday won the Golden Globe for best foreign language film. The film triumphed in a category that included Swedish black comedy "The Square," which took the Palme d'Or at Cannes, and "First They Killed My Father," the true story of a Cambodian child soldier directed by Angelina Jolie. "In the Fade" stars Diane Kruger in her first role in her native German as a woman seeking answers to the killings of her Turkish-born husband and son. She won the best actress award at Cannes. Accepting the Golden Globe, "In the Fade" director saluted Kruger and said: "This is yours." The film shines a spotlight on the violence of neo-Nazis, who have come into a growing international spotlight after a white nationalist rally in August in Charlottesville, Virginia. Speaking to AFP ahead of the Golden Globes, Kruger said that the movie felt "overwhelming" when she first saw it at a screening. "There are plenty of movies about bombs and terrorists, but it was the intimacy of this film, the small details that grief and death bring into one's life, that I found so moving and emotional," she said. "In the Fade" is based on the song by the California desert rockers Queens of the Stone Age, whose main member Josh Homme composed the score.